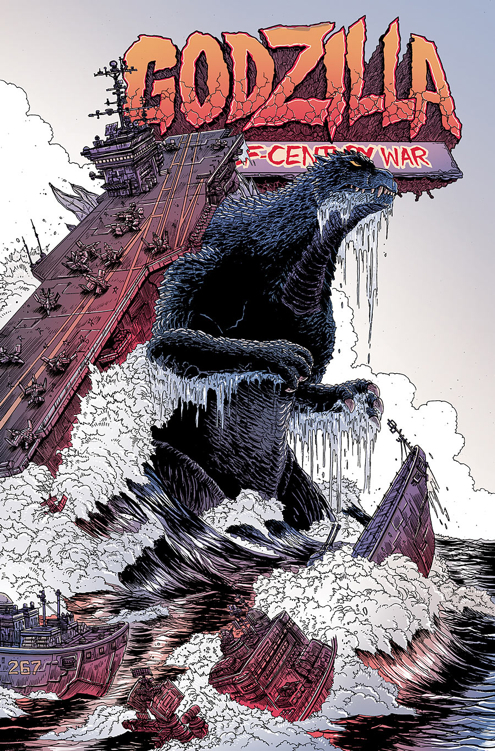 James Stokoe's excellent mini-series, Godzilla: The Half Century War is getting another collected release, and it's out today It's amazingly illustrated, does a great job with the human-linked-to-monster theme, and shows just how complex the relationship between the giant monster and humanity really is, across a, well, fifty-year window. I wrote this one up briefly for Newsarama back in the day, so please head over to visit Pepose and Pals over there and read my review if you need further proof. You can read the review I did here. If you love Godzilla but somehow missed this one, don't wait any longer. Pick it up, you'll be glad you did!